Chiropractic Performance Solutions focuses on accurately diagnosing the cause of you injury, then tailoring a treatment plan of multiple therapies that result in rapid cost effective recoveries and prevention of future injuries. for accurately locating and resolving overuse soft tissue sport injuries. SET UP A PHONE CONSULTATION TODAY! specific injury? Call us to set up a free phone consultation with the doctor. CPS Novi’s treatment philosophy is designed to fix the cause of each individual’s problem not just to treat the symptoms. Chiropractic Performance Solutions specializes in treating a broad range of common and not-so-common sport injuries. Massage has been shown to provide many therapeutic effects and health-enhancing benefits, it isn’t only about “feeling good”. Chiropractic Performance Solutions focuses on accurately diagnosing the root cause of your pain. A detailed selective functional movement assessment leads to an accurate diagnosis, followed by Active Release Technique manual therapy for the soft tissues, chiropractic adjustments for the joints and guidance on exercises that you can use at home to help improve stability and speed your recovery. Whether you’ve been living with chronic and nagging pain for years or if you’ve recently experienced a sport injury, this targeted approach leads to rapid recoveries and prevention of future injuries, while helping most patients avoid the high costs of imaging, pharmaceuticals, and even surgical procedures. 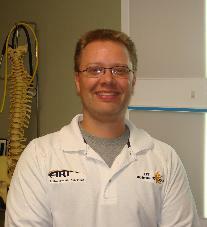 Dr. Karl E. Tarkanyi started his Chiropractic practice in Novi, Michigan in 1995. Over the last 20+ years, Chiropractic Performance Solutions has evolved into the leading sport and occupational soft tissue injury clinic in the area. This evolution represents Dr Karl’s continuing desire to improve his leading-edge treatment of sport and occupational injuries.